When booking, please read the terms and conditions below. You must tick the box when sending a booking form to us. No. of Male Bikes Required? Type of Male Bike Required? No. of Female Bikes Required? Type of Female Bike Required? No. of Childrens Bikes Required? Type of Childrens Bikes Required? How many days would you like to hire the bikes? Bikes and Equipment can only be hired from Barrow Way Bike Hire on completion of a Bicycle Hire Form. The signatory of the Booking Form is designated the Hirer. A Booking is made by the Hirer (hereinafter referred to as you) by submitting your completed Booking Form to Barrow Way Bike Hire along with your Deposit. Upon acceptance by Barrow Way Bike Hire of your completed Booking Form a binding contract is formed between Barrow Way Bike Hire, the terms and conditions set out below. 1.1 You are responsible for ensuring that you are physically fit enough to undertake cycling any distance using the cycle(s) you have booked. Barrow Way Bike Hire does not accept any responsibility for your failure to complete your Hire period or Tour due to lack of fitness, illness or injury. Barrow Way Bike Hire does not accept liability for death, personal injury, loss or damage to personal effects to any participant, nor can Barrow Way Bike Hire accept any responsibility for delays or changes to your period of Hire or tour due to weather, strikes, war, terrorism or other causes. 1.2 You accept that cycling on a public highway, cycle route, thoroughfare or track carries its own risks and you have made your booking on the basis that you undertake the Hire and tour at your own risk. You understand and accept that Barrow Way Bike Hire insists the wearing of cycle helmets at all times during your Tour and provides a helmet with each cycle hired. 1.3 You will ride your cycle responsibly at all times. You will not hold Barrow Way Bike Hire responsible for any loss, damage or injury including death to persons or property with regard to use of the cycle(s) and equipment hired. You accept responsibility to indemnify Barrow Way Bike Hire against any claim, interest, demand or expense in respect of any such injury or damage. 1.4 You will ensure that you have suitable insurance cover at all times during your period of Hire. 1.5 You are responsible for all cycles and equipment hired or loaned and it is your responsibility to keep the same safe from damage, loss or theft, use it in a proper manner and not subject it to any misuse or unfair wear and tear. 1.6 You will notify Barrow Way Bike Hire immediately of any loss, damage or theft to the hired cycles or equipment however caused. You will be responsible for paying Barrow way Bike Hire the reasonable costs of reparation of any such loss, damage or theft. 1.7 You will not offer for sale, sell, dispose, mortgage, lend, pledge or otherwise part with possession of the hired cycle(s) or equipment. 2.1 In consideration of our arranging and fulfilling your Hire in accordance with these terms and conditions you will pay Barrow Way Bike Hire the total price for your period of Hire set out overleaf in the Booking Form in advance of the hire commencing. 2.2 Upon placing your Booking payment in full will be made to Barrow Way Bike Hire before the period of Hire commences. 2.3 A holding deposit will normally be required at the commencement of any hire period, but this may extend to a deposit to the value of the cycle(s) by credit or debit card payment or other surety as deemed sufficient by Barrow Way Bike Hire depending on Barrow Way Bike Hire assessment of the risk and the value of the equipment. This deposit will be returned at the end of the hire period provided that: I. any cycles and/or equipment hired or used are returned in an undamaged condition to Barrow Way Bike Hire. ii. 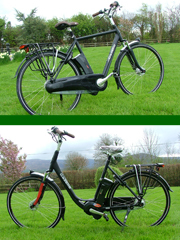 Any cycles and/or equipment hired or used are returned within the arranged hire period and at an arranged time and place to Barrow Way Bike Hire. If these terms are not complied with, Barrow Way Bike Hire reserves the rights to charge reasonable charges until such time when cycles and/or equipment concerned have been returned to Barrow Way Bike Hire. In the case of cycles and/or equipment left or returned damaged, you are responsible for any costs incurred and sustained in replacing or repairing (whichever the cheaper) the items concerned to a condition equivalent to that prior to the Hire. In all cases Normal wear & tear as defined by the products manufacturer or supplier is accepted & allowed and is included in any hire price. 2.4 In all cases, the holding deposit can be used as a deposit against the costs or charges mentioned herein. d) an action or omission on the part of any accommodation provider or cycle hirer; or e) where any loss or damage is considered to be indirect or consequential loss. 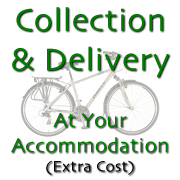 3.3 Barrow Way Bike Hire total liability to you under this contract between us shall be limited to the total cost of your Booking. 3.4 Barrow Way Bike Hire shall have no liability to you if we are unable to fulfil a Booking due to an event of Force Majeure. 4.1 These terms and conditions constitute the entire agreement between us, and supersede any previous agreement or understanding and may not be varied except in writing between us. All other terms, express or implied by statute or otherwise, are excluded to the fullest extent permitted by law. 4.2 If any provision of these terms and conditions is held by any court or other competent authority to be invalid or unenforceable in whole or in part, the validity of the other provisions of these terms and conditions and the remainder of the provision in question shall not be affected except as otherwise expressly provided herein, nothing in these terms and conditions confers or purports to confer on any third party any benefit or any right to enforce any of these terms or conditions. 4.3 These terms and conditions shall be governed by Irish law, and both of us hereby agree to submit to the exclusive jurisdiction of the Irish courts. 5. Barrow Way Bike Hire will not be responsible for any act of negligence, recklessness or endangerment of life caused by a cycle user. 6. Barrow Way Bike Hire will not be responsible for any fraud, theft or any other criminal activity performed through the use of Barrow Way Bike Hire Equipment. • Cycling is not a low-risk activity. Barrow way Bike Hire requires that you have a travel/medical insurance policy which will specifically cover you while cycling. It is entirely your Responsibility to ensure you have the necessary cover before cycling. © Barrow Way Bike Hire 2014. All rights reserved.